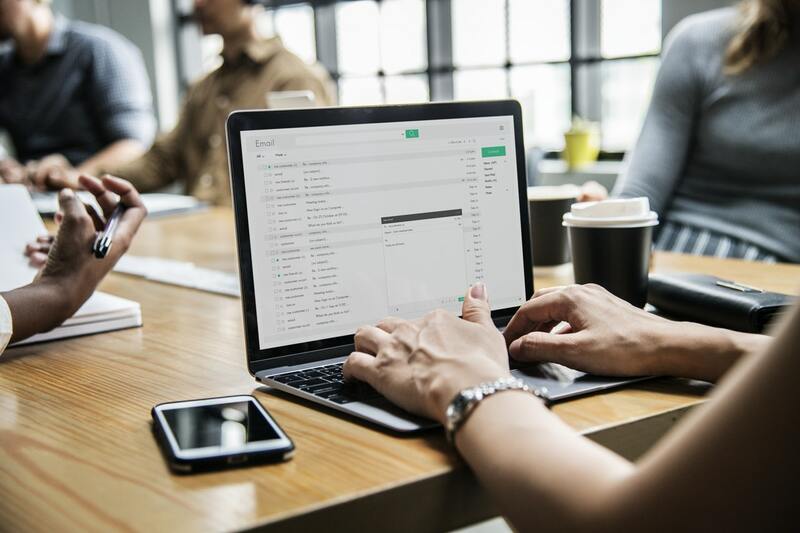 Email marketing is one of the most popular and effective means that can help you promote new products, increase your website traffic, and keep your audience engaged. Email marketing is time-consuming and complicated but it’s definitely worth your time and effort. We suggest that you start working on your marketing campaign as soon as possible so that you can immediately benefit from it. However, there is a common question: Is it possible to make email marketing at least a little simpler? The answer is yes, moreover, you may have already heard of the solution — it’s WordPress. WordPress is much more than just a blogging platform. This CMS is so popular because it can help handle virtually any challenges of an online business of any kind. Freelancers use it to invoice their customers directly, eCommerce companies use it to track orders, and bloggers can check all the necessary metrics using only the WordPress dashboard. When you have such a flexible and powerful tool, it gets much easier to focus on important tasks, achieving your business goals faster. Every website asks you for your email address at some point. Once a user provides his or her email address, it gets added to a list of other users’ emails, and the company starts contacting everyone from this list from time to time. You may receive notifications about the latest offers and discounts, as well as updates or recommended products. The main point of email marketing is increasing conversion rates. In WordPress, email marketing requires a little bit of work but also saves a lot of time if you use some plugins and properly adjust your website. The platform sends emails to people who sign up to your website, however, those emails provide details about the users’ accounts. These emails are called transactional emails, and they don’t perform any marketing functions. Fortunately, numerous plugins allow you to expand your capabilities, automating many processes associated with email marketing, configuring triggers for certain types of emails, categorizing lists of customers, and increasing conversions. Your emails can remind subscribers of your website, leading traffic back to it. Emails with offers will also lead to additional sales. The biggest challenge of email marketing is finding a clear direction for your campaign. Sometimes, teams plan their outreach without a clear understanding of what they actually want to achieve. Before you launch a campaign, you should determine its specific objectives so that you will understand how to tailor your content for certain purposes. Another common problem is a lack of personalization. This is one of the main reasons why customers are not engaged with brands. Properly personalized subject lines are able to increase the open rate of your emails by 50%. Users want to see marketing content that reflects their preferences and needs. If you send the same email to everyone from your subscriber list, they won’t like it, moreover, they will likely not open such an email at all. WordPress allows you to categorize subscribers, making your emails more personalized. For example, you can send onboarding emails to the new users, with no need to bother people who subscribed a year ago. You can also divide your audience into segments, taking into account your subscribers’ location, age, or gender. WordPress also has AI-based plugins that can personalize the content of your emails for each particular recipient — something that had been completely impossible a few years ago. Humans vs. AI: which is better in email marketing. Finally, you need to monitor the effectiveness of your marketing campaign. It becomes possible with the help of A/B testing and metrics analysis. Some marketers don’t understand how important this step is, spending a lot of time developing a good strategy and assuming that it’s flawless. The truth is that any campaign has its drawbacks which become apparent only after analyzing metrics. In addition, it’s important not to repeat the same mistakes in the future. You need to properly assess the current situation in order to understand what are your goals. You have to analyze your traffic numbers, conversion numbers, and determine what pages are more or less converting compared to others. You can do it by using Google Analytics, as well as many other kinds of services and software. You should understand the psychology of your visitors. Why do some pages show better conversion rates than others? You need to look for solutions that can be used for an A/B test. In general, relevance is the most important factor that determines the conversion rates. We suggest keeping records about your solutions and thinking of what could be improved. Once you’ve completed the audit, found a few possible solutions, and determined which one of them is the best, you have to launch the campaign and see what happens. It’s important to understand that one A/B test is not enough: You must analyze the results, make improvements, and run a new test. Always follow this cycle in order to ensure continuous improvement. As we’ve already mentioned above, WordPress has a plenty of plugins that can help you put your email marketing strategy to a new level. Thus, we made a list of the most useful and interesting plugins that will allow you to tackle all the common challenges of email marketing. It’s hard to overestimate the popularity of MailChimp among marketers. This plugin connects your MailChimp account and WordPress, making the overall performance much more effective. This plugin is developer friendly, it supports many add-ons and easily integrates with common form plugins. In addition, it comes with user-friendly sign-up forms optimized for mobile devices. It’s one of the best email marketing plugins for WordPress. It has awesome delivery rates and offers an impressive number of tools. You can use an easy drag and drop editor to design your emails, promotions, and newsletters. This plugin also decreases bounce rates using an advanced list cleaning technology. It also allows you to use personalization tags, send sequential emails, and work with any SMTP email services. This is a reliable and useful Google Analytics plugin that can be used on your WordPress website. Now you can learn all the necessary information about your visitors with no need to use other tools. Watch their activity on your website, analyze where your visitors are located, and optimize the website using many advanced features. This is a premium plugin that will help you promote your website through newsletters and emails. It has mobile friendly built-in campaigns, a drag and drop builder, and helpful customer support. There are unlimited subscription forms and advanced analytics tools. It’s a very convenient tool that easily integrates with other plugins and is translation ready. Using this plugin, you can create templates and adjust the content of your newsletters as you want. You can get unlimited subscribers, send an unlimited number of newsletters, and use various customizable subscription widgets. This plugin also monitors clicks and unsubscribes for each email. It works with Gmail and other common mail services and includes a double opt-in feature. Email marketing/automation is one of the most effective methods to reach out to your potential customers, promote products, and increase your website traffic. Even though email marketing isn’t a simple thing, WordPress allows everyone to benefit from numerous plugins that automate many time-consuming processes and help increase the effectiveness of your marketing campaign dramatically. WordPress plugins allow you to design campaigns, personalize emails, and analyze metrics right in your WordPress dashboard, increasing your conversion rates and profits. Email Automation A-Z: When, How, and Why? Ester Brierley is a QA Engineer in software outsourcing company and a competent virtual assistant for College Writers. As a seasoned content creator, she adores researching cutting-edge digital and lifestyle trends and sharing them in her writing pieces. Follow her on Twitter. A very special site for me. You know, these tips are more beneficial to me. You also don’t know that I was searching for this type of article. And finally, I found your article with useful tips. This tips will really help my clients projects. Your Blog post is useful and great list. Keep sharing such extremely stuff to make our effort easy comfort. I am happy to know more about some of the amazing use cases of this. Thank for helping in my learning. Amazing content and great information sharing about email campaigns with WordPress. I really need this type of content. Thanks for sharing.